TORONTO — Interviewed in his office some three months into his mandate as president of Shoppers Drug Mart (SDM), Mike Motz exuded the energy and enthusiasm that his colleagues say has typified his approach to his whole career in retail management. He was clearly excited about the opportunities that SDM’s acquisition by Loblaw Cos. has opened up for both the acquired and the acquiring company. Motz has been with SDM since 2003, holding down a variety of senior management positions. Immediately before his appointment to president, he was executive vice president and chief merchandising officer with responsibility for marketing, merchandising, analytics, global procurement, supply chain and logistics. When he handed over his responsibilities to Motz in January, former president Domenic Pilla was quoted as saying he had never worked with a more gifted merchant than Motz. Quite a compliment, coming from such a seasoned executive as Pilla who, before being recruited by SDM, had been chief executive officer of McKesson Canada. When the takeover was announced, there was considerable speculation whether it would be welcomed by the SDM associate-owners who own and operate the stores. Close cooperation between central office and the associate-owners has, as Motz emphasized, been a key component of SDM’s success over its more than half a century of ­operation. Motz said the reaction of the associate-owners has been overwhelmingly positive. “They were very pleased that the acquiring company was Canadian, which minimized cultural issues. They were also pleased that the acquirer was Loblaw, with its great strength in the Canadian market and its strong ­leadership. No doubt another, if secondary, influence on the positive reaction of the associate-owners was the fact that the value of their respective personal holdings in SDM’s stock increased by some 24% on the day of the announcement of Loblaw’s bid. 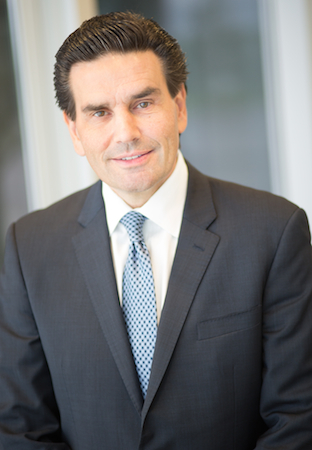 Not unexpectedly, a major focus for Motz in these early months has been working to achieve the efficiencies and savings that were predicted by Galen Weston, now Loblaw’s executive chairman and president, when the $12.4 billion (Canadian) takeover of SDM was announced last July. “In the first two years of this process our priority has to be focused on aligning the departments that really should be central services,” Motz said. Shoppers Drug Mart is testing a fresh food concept at six stores in Toronto. He identified target departments as legal, human resources, finance, real estate and logistics. “We are going through all that with a keen eye on not disrupting the business as we go about it. Each function has to be handled at a different pace. If you look at the complexity of the logistics infrastructure between the two organizations, for instance, it is easy to say we brought the two together, but they are still running almost as two separate entities. 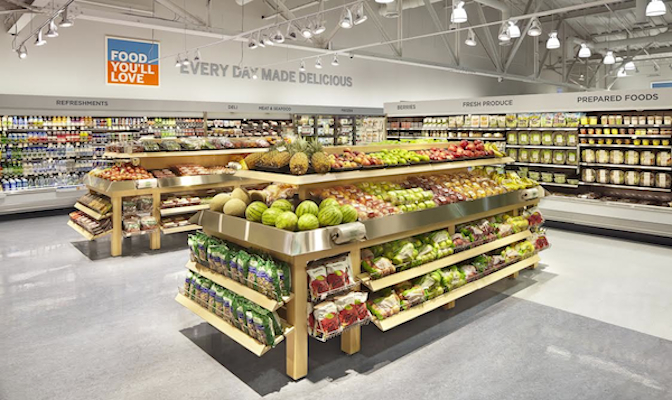 Motz noted that with the introduction of the Loblaw brands and the realignment of the labels, SDM is seeing a significant lift in its private brand sales. The new alignment is being received well by the ­consumer. SDM is also experimenting with a new food concept — an enlarged food department with a small but convenient representation of fresh departments. It has been testing consumer reaction for some months with six stores in Toronto. For these stores it has not given coverage to the concept in its flyer and did not make any special announcement of the test’s beginning, relying on walk-in traffic for sales. The company is taking a different approach to the nine stores serving the Regina, Saskatchewan, market. Those stores exposed the public to the concept with a soft launch earlier this month. A hard opening is scheduled for next month. In the Regina test the company will see if it is more advantageous to stimulate sales with high/low promotions in the flyer or to go with everyday prices. 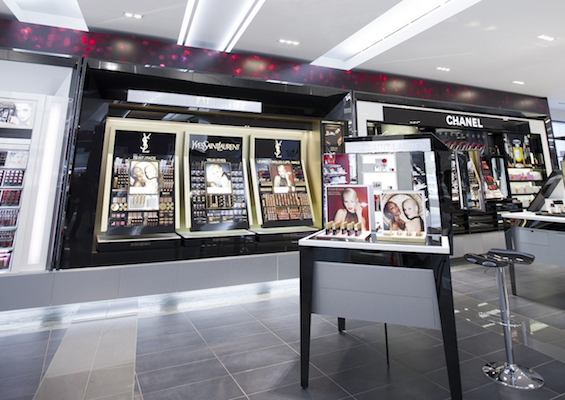 Shoppers Drug Mart’s upscale Beauty Boutiques boast a range of premium brands. It is still too early to draw firm conclusions from the Toronto test, but so far the results have been very encouraging, said Motz. He pointed out that Toronto has many areas of high-density population where the residents are single or time-pressed young parents who value the convenience that the enlarged food departments ­offer. Motz emphasized that the company is by no means aiming at a full-service food proposition. The department will always be catering to fill-in shopping — the customer who needs a couple of apples or lettuce for a salad. The selection will include some fresh meat, not just frozen, but when it is offering beef, for example, it will not be a family-size roast but rather a serving for two — complete with cooking instructions. In its current larger stores the food departments run to some 3,500 square feet. The enlarged departments will be between 4,500 and 5,000 square feet. Motz emphasized how enthusiastically SDM pharmacists are embracing the expanded services they are able to offer as a result of the introduction of enabling legislation, province by province. “We are really trying to focus in on patient care services,” he stressed. “Our pharmacists see how they can help make the health system far more efficient. We see how we can free up capacity in the health system. Pharmacists are well positioned to do that. The system now in force in Alberta is where we want every province to be. The introduction of the new services requires close interaction with provincial departments of health and with the provincial pharmacy associations and the national Canadian Pharmacy Association well as with the representative bodies of the other health professionals. SDM executive vice president of pharmacy and health care Dorian Lo and his staff have been very active in these exchanges, as have their counterparts at Loblaw. It is helpful that Loblaw has a large and experienced government relations department whose resources can be called on as necessary in these ongoing discussions and negotiations. Both Loblaw and SDM have a substantial number of locations where doctors’ offices are located right beside the pharmacies. Motz said that neither SDM nor Loblaw has attempted to develop mini-clinics within the stores, though he did not rule out that concept for the future. Currently both SDM and Loblaw are giving priority to expanding the number of medical practices that elect to locate close to a SDM or Loblaw store. Beauty has been a particular strength for SDM. It now has 367 of its upscale Beauty Boutiques, which boast a broad selection of premium brands. “We are focused on continuing to evolve our beauty brand and our beauty image,” said Motz. “We have recently opened four of our new Enhanced Beauty Boutiques, and we are opening another two of these stores this year. It is unlikely that Loblaw will wish to emulate SDM’s prestige beauty concept, though SDM has looked at the possibility of adding the Joe Fresh beauty line to its selection and may do so in the near future. Motz explained that Joe Fresh is, as he expressed it, “a high-color fashion brand” aimed at a younger demographic. “Within the beauty category Shoppers has a lot of opportunity, and we are going to continue to focus on delivering beauty to Canadian consumers,” said Motz. Motz concluded the interview with a look at the future. “If we sit back and look at 2015, it’s a year of tremendous opportunity as we continue to integrate the private brands, particularly President’s Choice, into our organization and enhance the beauty side of the business. Also, as we continue work with provincial governments and provincial pharmacy associations, aiming at extending scope of practice, the results should be good for both patients and pharmacy.